It was much better than last years Xmas illumination – they are? Aren’t they? All in all, it looks as if aliens invaded London. I love your pictures! Oh my god. 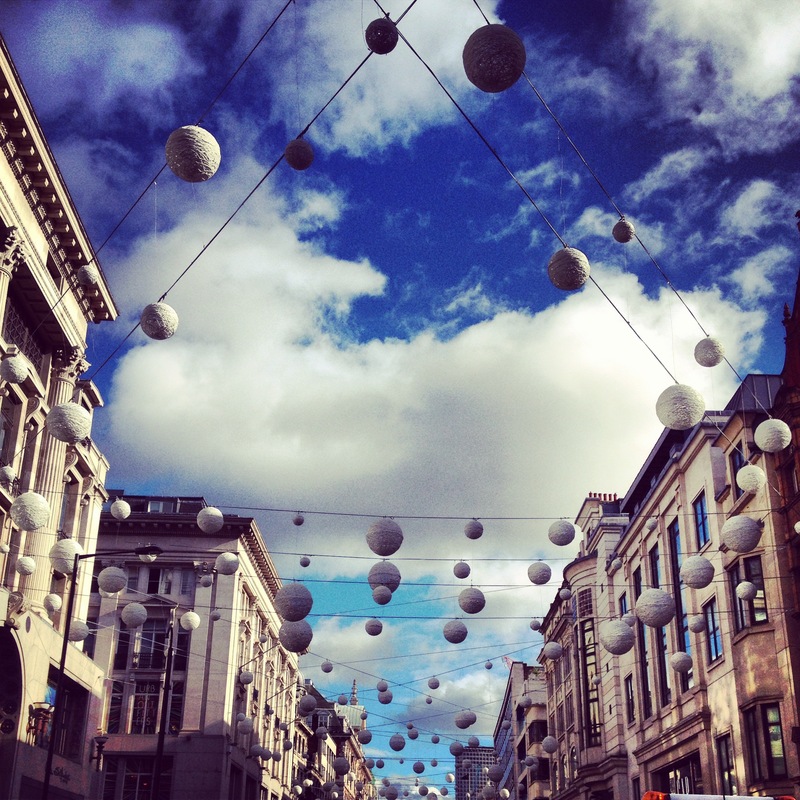 London is really beautiful. I would love to visit that amazing city soon. The poor little Mini Cooper, I hope it didn’t sustain too many bumps and bruises. They are such cute cars! So sad for those car owners. But it’s a good thing there were no people on that street when the storm was going on, they could have been seriously injured. And glad to know that your were safe during St. Jude! Woah, it’s such a coincidence – all this crazy weather happening all over the world! We’ve been having typhoons here and I was telling my mum how windy it is etc. and she joked that doesn’t need to come to Japan since St. Jude is in the UK! Oh good. Nothing too serious then. It was only a very short while but the storm was so noisy, I knew this was not just a storm. Awesome power of nature! I really feel sorry for people commuting via BR. They are not very reliable in best of the time. Then, something like this happens, what a drama! It took everyone breath away! Those poor car owner must have reckoned their cars would be safe on the side street sandwiched by two tall buildings and away from any mature trees. How wrong they were! The incident happened around 6amish, and my husband was supposed to go to the office early. It was cancelled because of the storm. But if it wasn’t and he was driving down the street! The thought scares me more than then. I know! 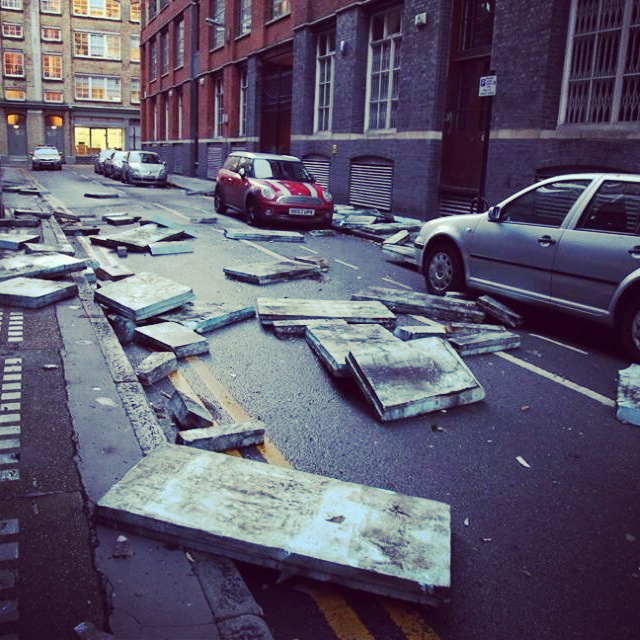 Who could imagine a concrete roof could crumble? !